Approximately 40% of Americans live with a chronic illness or health condition that significantly impacts their quality of life. At Apex Medical Professionals in Fair Lawn, New Jersey, Walid Elkhalili, MD, and the team help patients manage their health and lead active and fulfilling lives despite chronic health conditions such as high blood pressure, diabetes, asthma, and others. If you’re looking for expert and compassionate care to manage a chronic illness and improve your well-being, call Apex Medical Professionals or schedule an appointment online today. You can also develop conditions such as sinusitis or back pain that can last for months on end. How are chronic illnesses diagnosed? Doctors diagnose chronic illnesses with the same protocols and tests used to diagnose acute conditions. For example, when you don’t feel well, you make an appointment with your doctor at Apex Medical Professionals. Your doctor provides an exam, diagnosis, and treatment. He may uncover a chronic illness as the cause of your symptoms. Alternatively, your doctor may identify signs of a chronic illness during your annual physical. Many chronic conditions such as high blood pressure, high cholesterol, and diabetes don’t cause symptoms until you’ve reached a critical point. The blood tests and health screenings you have at your annual exams are essential to diagnosing health conditions early and starting treatment before symptoms disrupt your life. How are chronic illnesses treated? 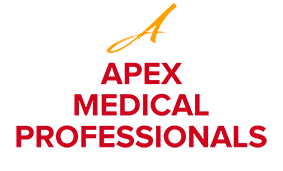 Your doctor at Apex Medical Professionals works with you to improve your general health and well-being in a few ways, such as with lifestyle changes to enhance your wellness, and medications and therapies to manage your illness or disease. For example, your doctor may prescribe inhalers for asthma or insulin for diabetes. You may need to have more frequent appointments for your doctor to monitor your symptoms and overall health. Can I reduce my risk of developing a chronic illness? Many chronic illnesses are hereditary, which means you’re genetically predisposed to developing the condition. However, you can protect your health and reduce your risk of serious illness by avoiding tobacco products, eating a diet that includes fresh, whole foods, limiting alcohol consumption, and getting at least 30 minutes of moderately strenuous exercise every day. You should also have annual physicals and health screenings on the recommended schedule to catch and treat disease or illness before it disrupts your life. If you’re concerned about your health or think you may have a chronic illness, call Apex Medical Professionals or schedule a consultation online today.